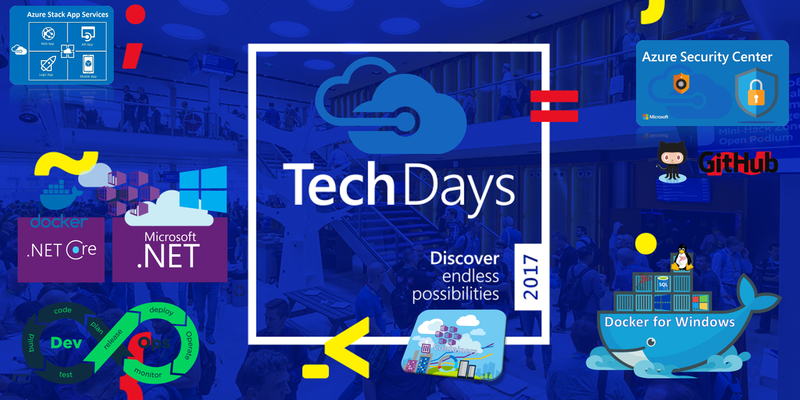 Time to discover Microsoft TechDays 2017 in Amsterdam here ! 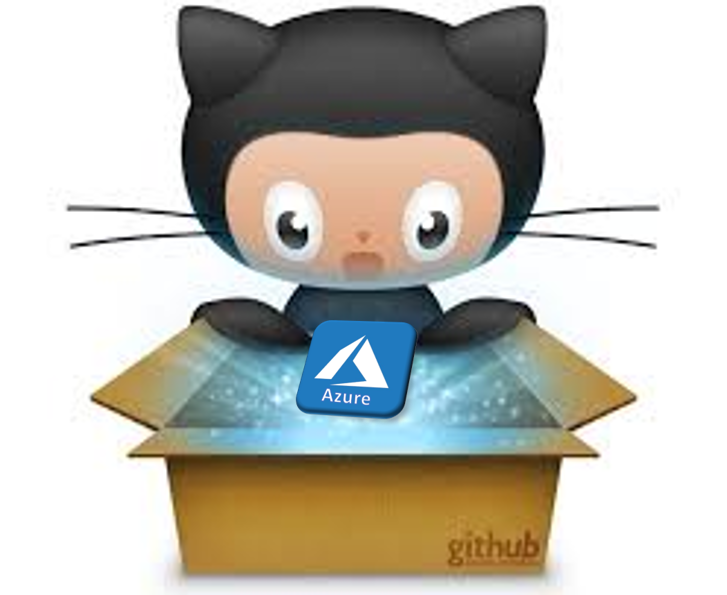 Categories: Azure, Azure Security, Azure Stack, Containers, Docker, Hololens, IoT, Linux, Microsoft Azure, NanoServer, OMS, PowerShell, SQL, VisualStudio, Windows 10, Windows Containers, Windows Server 2016, WindowsAzure | Tags: Apps, Azure, AzureStack, Cloud, Containers, Developers, DevOps, Docker, HybridCloud, Linux, Microsoft, MVPbzz, OpenSource, Techdays | Permalink. 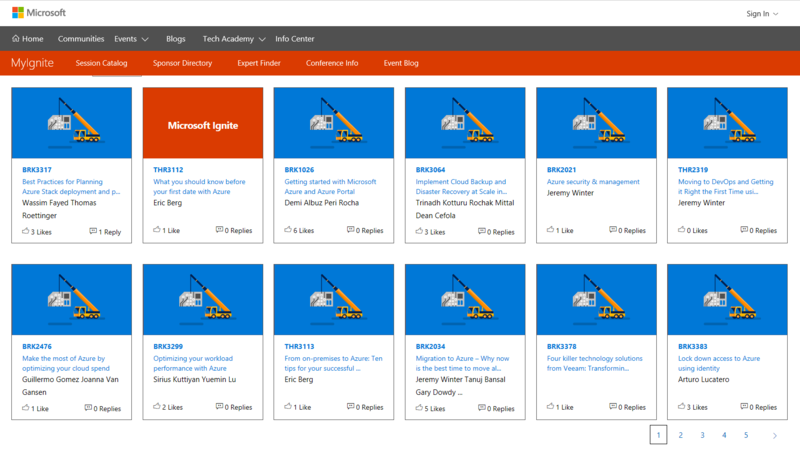 Build your cloud and infrastructure skills with a two-day free technical training event March 23-24, 2017. 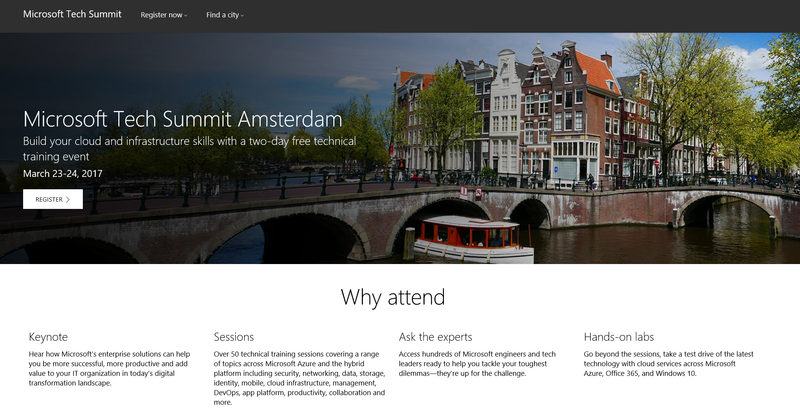 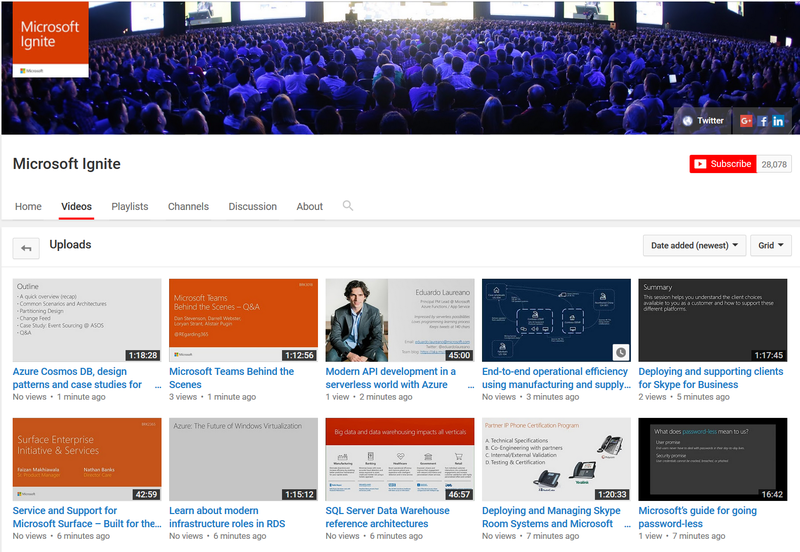 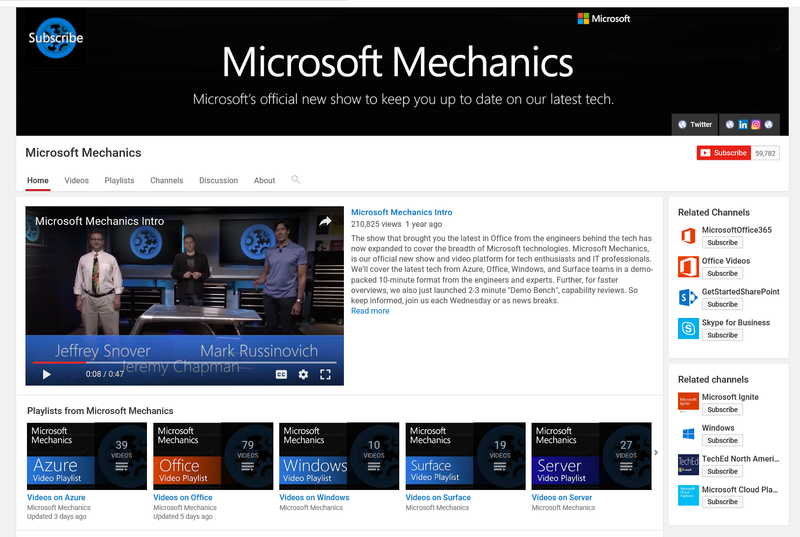 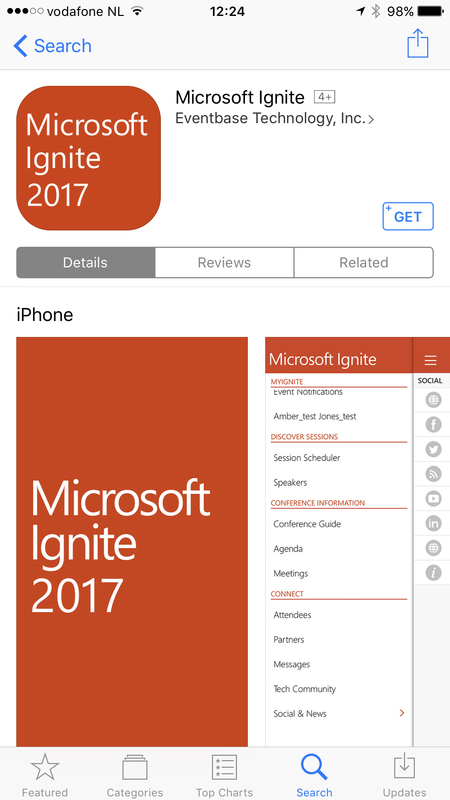 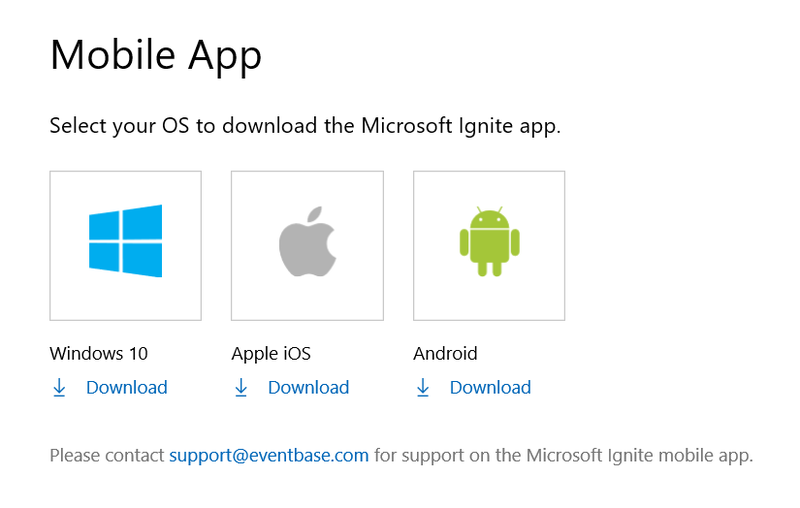 Here you find more cities for Microsoft Tech Summit 2017 Event when you are not from the Netherlands. 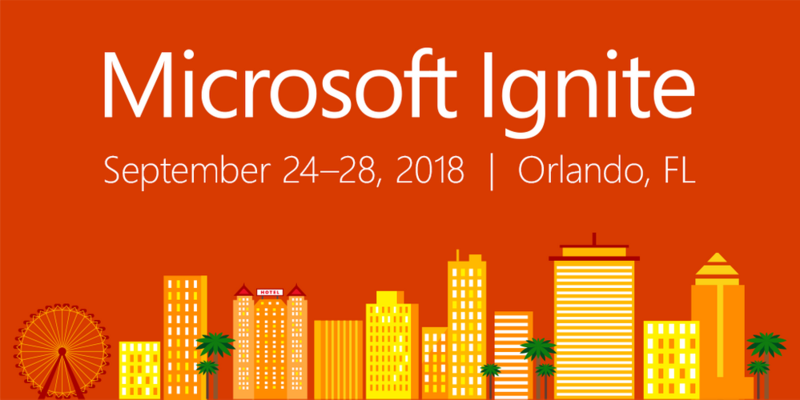 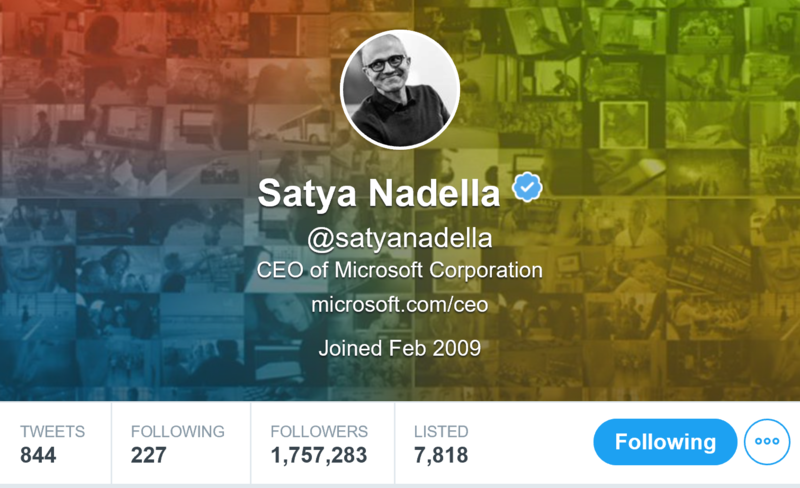 Categories: ARM, Azure, Azure Security, Azure Stack, Containers, CPS, Docker, Hololens, Hyper-V, Linux, Microsoft Azure, NanoServer, Office365, OMS, PowerShell, Sharepoint, SQL, System Center 2012 R2, System Center 2016, VisualStudio, Windows 10, Windows Containers, Windows Server 2012 R2, Windows Server 2016, WindowsAzure, WindowsAzurePack | Tags: Azure, AzureStack, Cloud, DevOps, EMS, HybridCloud, HyperV, Intune, Linux, Microsoft, MSOMS, Office365, sysctr, TechSummit, winserv | Permalink.